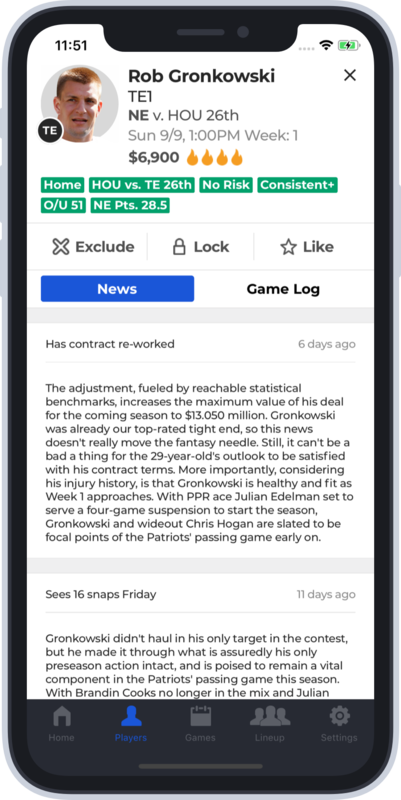 Thumb through trending players, keep up with breaking news and build lineups right on your phone. 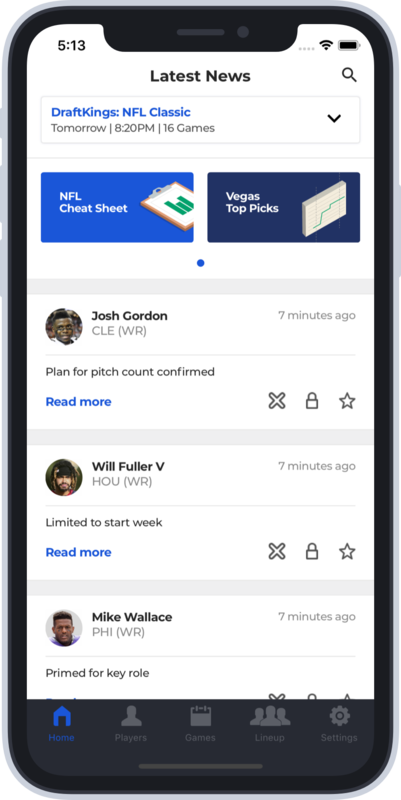 Find top players by position, salary and more. 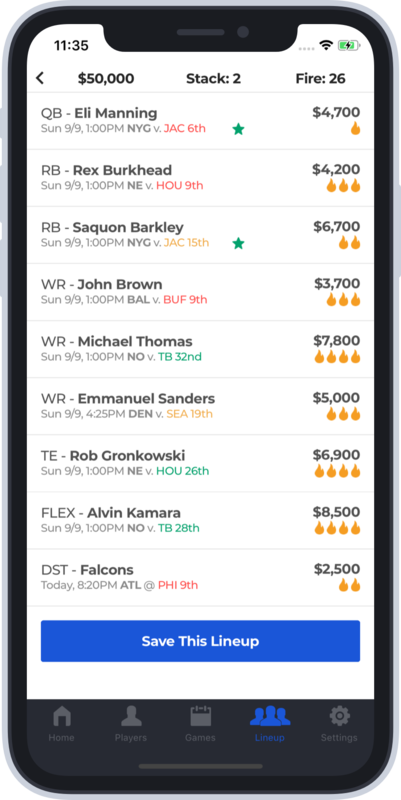 The only mobile app you need to win on DraftKings and FanDuel. 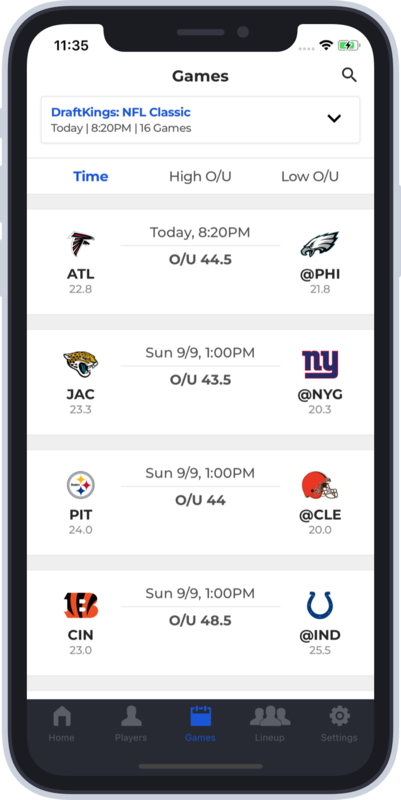 Get a birds eye view of all the games in a slate. Only get the updates that matter to you. 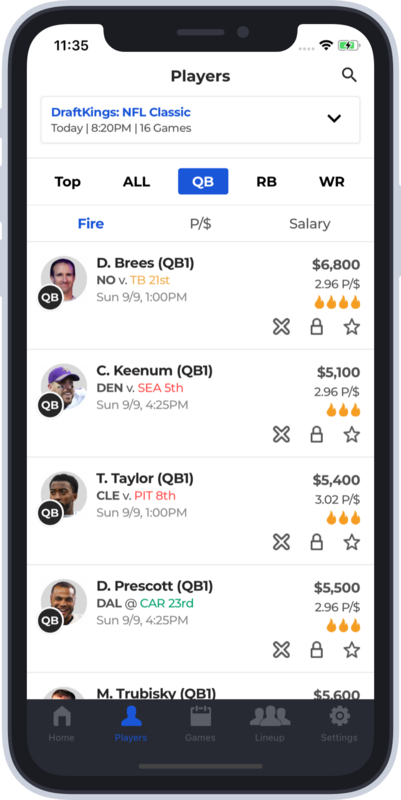 Seamlessly build an optimal lineup from your Apple or Android phone.